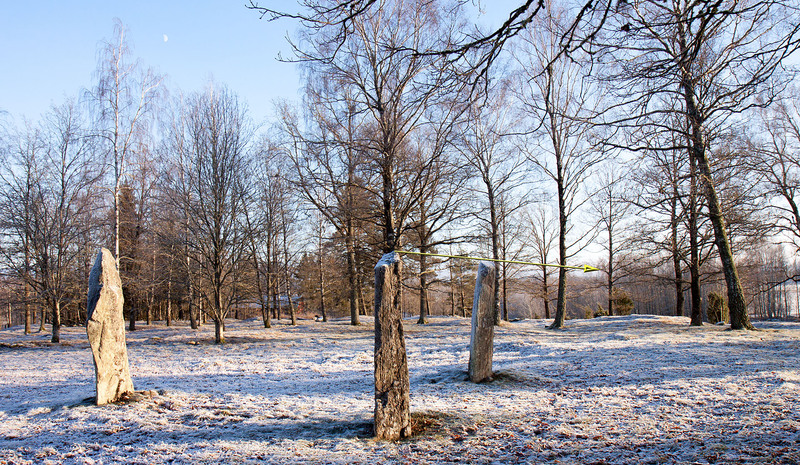 The gradient of the higher stone is in good alignment with the sun’s path. 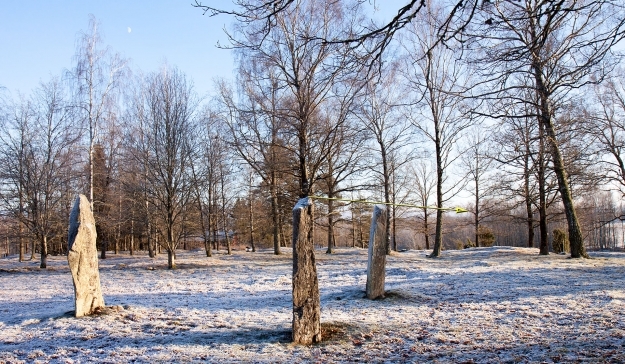 The two stones shows the exact point for the sunrise at the winter solstice. Trees obscure the sun at the sunrise.